May 31, 2010 (Investorideas.com renewable energy/green newswire) Investor Ideas global investor research portal covering leading sectors, focusing on environment and water, updates investors in the cleantech sector following recent remarks from President Barack Obama regarding the BP Oil Spill. “Let me make one final point. More than anything else, this economic and environmental tragedy –- and it’s a tragedy -– underscores the urgent need for this nation to develop clean, renewable sources of energy. Doing so will not only reduce threats to our environment, it will create a new, homegrown, American industry that can lead to countless new businesses and new jobs. We’ve talked about doing this for decades, and we’ve made significant strides over the last year when it comes to investing in renewable energy and energy efficiency. The House of Representatives has already passed a bill that would finally jumpstart a permanent transition to a clean energy economy, and there is currently a plan in the Senate –- a plan that was developed with ideas from Democrats and Republicans –- that would achieve the same goal. Investorideas.com was on the of the first investor sites covering investing in water and renewable energy stocks and has become a global go-to destination for investors researching the cleantech sector, with stock directories, company news, commentary from experts, research reports and industry resources and links. In January, Investorideas.com launched a campaign for “One Million Members Stronger’ with a goal to empower one million investors to invest in innovation and technology for a better world. - Investorideas.com Goal is to drive membership to include One Million Cleantech Investors in 2010, as a result of research on Investorideas.com including the stock directories, news and other research tools. With institutional research not being available to investors, the stock directories were created for investors to begin due diligence into leading sectors. Investorideas.com researches the sector each month for investors, adding new green stocks as they enter the space in Green IPO’s or reverses mergers. Use our Green Stocks and Renewable Energy Stocks directory to Research Renewable Energy Stocks and Alternative Energy Stocks, Solar Stocks, Wind Stocks, Biofuels, Green Stocks, Green Funds and more. Our Directory includes publicly traded green stocks on the TSX, TSX Venture, OTC, NASDAQ, AMEX, NYSE, ASX, AIM, Hong Kong and China and other leading Stock Exchanges. Our green stocks directory has over 1000 stocks and is growing each month! - Even the industry experts use our directory! Water Stocks Directory – (http://investorideas.com/Water-Stocks/Stock_List.asp ) Global Water Stocks Directory of publicly traded water stocks listed on the TSX, TSX Venture, OTC, NASDAQ, AMEX, NYSE, ASX, AIM and other leading global Stock Exchanges. The stock directory features water stocks ranging from desalination companies to bottled water stocks, to infrastructure, water treatment and technology as well as other sub sectors. The directory in PDF format, features hyperlinks to stocks symbol(s), company's URL and company's description. For investors following water stocks this is one of the most comprehensive directories in the sector available. Fuel Cell Stocks Directory – (http://www.investorideas.com/FCCN/Stock_List.asp ) Global Directory of Publicly traded Fuel Cell Stocks listed on the TSX, TSX Venture, OTC, NASDAQ, AMEX, NYSE, ASX, AIM and other leading global Stock Exchanges. The directory includes small cap, micro cap as well as large cap NYSE listed stocks for review. For green investors looking for opportunities in the fuel cell sector, the comprehensive global directory in PDF format provides a great research tool with hyperlinks to stocks symbol(s), company's URL and company's description. www.RenewableEnergyStocks.com is one of several green investor portals within Investorideas.com, creating a meeting place for investors, public companies and industry leaders following developments in renewable and green energy. The site provides investors with stock news, exclusive articles and financial columnists, audio interviews, investor conferences, Blogs, research and a comprehensive global directory of stocks within the renewable energy sector. Investors can follow solar stocks commentary on our site with solar expert, J. Peter Lynch. Visit the Investorideas.com Green Investor Portals: http://www.renewableenergystocks.com,%20www.fuelcellcarnews.com/, www.EnvironmentStocks.com and www.Water-Stocks.com all within the Investorideas.com hub. South Salem, New York- May 18 2010 (Investorideas.com renewable energy/green newswire) Investorideas.com solar columnist J. Peter Lynch reports on recent IPO activity in the solar sector. JinkoSolar Holding Co., Ltd. (JKS) initial public offering of 5,835,000 American depositary shares ("ADSs"), each representing four (4) ordinary shares of the Company, was priced at $11.00 per ADS on Friday of last week. The IPO raised the company roughly $60 million gross, with a post money market cap of approximately $240 million. Credit Suisse Securities (USA) LLC acted as sole global coordinator and sole book runner, and Oppenheimer & Co. Inc., Roth Capital Partners, LLC, and Collins Stewart LLC acted as co-managers for this offering. Jinko Solar is a vertically integrated company – which means they are involved in ALL steps of the manufacturing process: from raw silicon, to molded silicon ingot, to silicon wafer, to solar cell and final integration into panels. By integrating all phases of the production, the company will have the opportunity to better balance each phase’s margins which may result in overall higher gross margins and greater profits. At the current time the overwhelming majority of solar stocks are underperforming the general market and have been doing so for quite awhile. The technically strongest solar stocks currently are: JA Solar Holdings (JASO), Real Goods Solar, Inc. (RSOL) and ReneSola, Ltd. (SOL). It is interesting to note that 2 of the 3 are vertically integrated Chinese companies (JASO and SOL) similar to JinkoSolar and one is a U.S integrator (RSOL) that may be benefiting from current lower panel prices. Mr. Lynch has worked, for 33 years as an independent analyst and investor in small emerging technology companies. He has been actively involved in following developments in the renewable energy sector since 1977 and is regarded as an expert in this field. He was the contributing editor for the past 17 years to the Photovoltaic Insider Report, the leading publication in Photovoltaics industry that was directed at industrial subscribers, such as major energy companies, utilities and governments around the world. He can be reached via e-mail at: solarjpl@aol.com or at his new website: http://www.sunseries.net/. www.RenewableEnergyStocks.com is one of several green investor portals within www.Investorideas.com, creating a meeting place for investors, public companies and industry leaders following developments in renewable and green energy. The site provides investors with stock news, exclusive articles and financial columnists, audio interviews, investor conferences, Blogs, research and a comprehensive global directory of stocks within the renewable energy sector. Investors can follow solar stocks commentary on our site with solar expert, J. Peter Lynch. Disclaimer: Our sites do not make recommendations. Nothing on our sites should be construed as an offer or solicitation to buy or sell products or securities. We attempt to research thoroughly, but we offer no guarantees as to the accuracy of information presented. All Information relating to featured companies is sourced from public documents and/ or the company and is not the opinion of our web sites. Disclosure: Investorideas.com is compensated by featured green companies, news submissions and online advertising. Investorideas.com - U.S. Army Convening Top Industry Experts to Address Energy Technologies at Inaugural "Renewable Energy Rodeo and Symposium"
DETROIT ARSENAL, WARREN, MI and FORT BLISS, TX - May 14, 2010 (Investorideas.com Newswire) - To evaluate the latest energy technologies that could reap immediate benefits for the military and the Nation, the U.S. Army is hosting the inaugural Renewable Energy Rodeo and Symposium (RERS) June 8-9, 2010, at Fort Bliss. RERS, co-hosted by the U.S. Army Research, Development and Engineering Command (RDECOM) Tank Automotive Research, Development and Engineering Center (TARDEC) and Fort Bliss, serves to advance energy initiatives affecting all levels of the Department of Defense, from ground vehicles to installations. 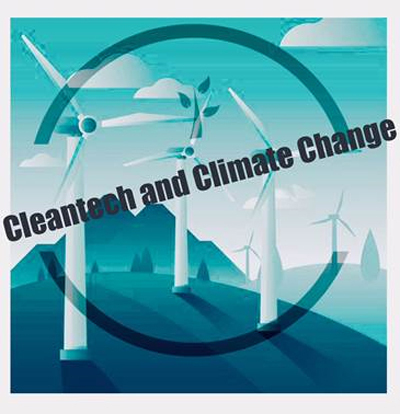 During the two-day exposition, the latest mature technologies and innovations in renewable energy concepts and alternative fuel technologies will be displayed and demonstrated. Panel discussions and guest speakers will feature some of the Nation's top experts in a variety of energy-related fields and technologies. "Energy security remains a top priority for our warfighters and our Nation," explained TARDEC Director Dr. Grace M. Bochenek. "As we aggressively pursue the latest in renewable energy capabilities and alternative energy technologies, it is vitally important we tap the best-of-the-best from industry, academia and government." RERS takes place at Fort Bliss, the Army's Center for Renewable Energy. "The Energy Rodeo and Symposium provides a unique opportunity to evaluate mature technologies in a dynamic environment while, at the same time, establishing crucial partnerships," said Fort Bliss Commanding General Howard B. Bromberg. "We are looking for game-changing technologies and innovative solutions for the energy and environmental challenges we all face." Among the scheduled presenters is L. Jerry Hansen, Army Senior Energy Executive, Deputy Assistant Secretary of the Army (Strategic Infrastructure) and Senior Official performing duties as Assistant Secretary of the Army (Installations & Environment). Hansen's responsibilities within Installations & Environment for Strategic Planning include Business Transformation, Lean Six Sigma implementation, Strategic Infrastructure Analysis and Strategic Management Systems implementation. The Army continues to accept proposals from organizations that would like to participate as exhibitors. More information is available at https://renewable-energy-rodeo.com. Fort Bliss is a heavy maneuver training center with 1.12 million acres of landmass and airspace. It is a major deployment and redeployment center for all service members including reserve components. It is a prime site for renewable and alternative energy having over 350 days of sunshine per year, high winds and a geo-thermal energy project in the planning stages. Headquartered at the Detroit Arsenal in Warren, MI, TARDEC is the Nation\'s laboratory for advanced military automotive technology and serves as the Ground Systems Integrator for all DOD manned and unmanned ground vehicle systems. With roots dating back to the World War II era, TARDEC is a full life-cycle, systems engineering support provider-of-first-choice for all DOD ground combat and combat support weapons, equipment and vehicle systems. TARDEC develops and integrates the right technology solutions to improve Current Force effectiveness and provides superior capabilities for Future Force integration. TARDEC's technical, scientific and engineering staff lead cutting-edge research and development in Ground Systems Survivability; Power and Mobility; Intelligent Ground Systems; Force Projection; and Vehicle Electronics and Architecture. TARDEC is a major research, development and engineering center for the U.S.
Army RDECOM and partner in the TACOM Life Cycle Management Command. NOTE: Media are invited to attend RERS - especially on 6/9/10. Jiangsu Province, China, ( http://www.investorideas.com/ renewable energy/green newswire ) -- China Wind Systems, Inc. (Nasdaq: CWS), a leading supplier of forged rolled rings and other forged components to the wind power and other industries and industrial equipment primarily to the textile industry in China, today announced guidance for fiscal year 2010. The Company expects 2010 revenues to be in the range of $76.5 million to $85 million, representing a 43% to 59% increase from $53.5 million in fiscal 2009. Earnings before interest, tax, depreciation and amortization, which is generally referred to as EBITDA and is a non-GAAP financial measure, is expected to be in the range of $22.7 million to $25.2 million, representing a 106% to 129% increase compared to $11.0 million in fiscal 2009. Adjusted net income, which excludes non-cash expenses related to convertible securities and warrants, is anticipated to be between $15.5 million and $16.3 million, representing an increase between 99% and 109%, compared to $7.8 million in fiscal 2009. The Company anticipates stronger demand for both its traditional forged products and ESR forged products in 2010, as management expects stronger sales of precision forged products used in large wind turbines. The Company anticipates revenue contributed by its wind industry segment will increase by approximately 75%. In addition, the Company expects its dye machine segment to recover in 2010, given the industry's recovery in early 2010. "We are pleased to see a healthy flow of customer orders in early 2010," commented Mr. Jianhua Wu, Chairman and Chief Executive Officer. "As our forging facility becomes more efficient, we anticipate improvement in our profit margins. We believe we have the right strategy in place to cater to the rapidly growing wind power industry in China." About China Wind Systems, Inc.
China Wind Systems supplies precision forged components such as rolled rings, shafts and flanges to the wind power and other industries and industrial equipment primarily to the textile industry in China. With its newly finished state-of-the-art production facility, the Company has increased its production and shipment of high-precision rolled rings and other essential components primarily to the wind power and other industries. For more information on the Company, visit http://www.chinawindsystems.com . Information on the Company's Web site or any other Web site does not constitute a portion of this release. This release contains certain "forward-looking statements" relating to the business of the Company and its subsidiary and affiliated companies. These forward looking statements are often identified by the use of forward-looking terminology such as "believes," "expects" or similar expressions. Such forward looking statements involve known and unknown risks and uncertainties that may cause actual results to be materially different from those described herein as anticipated, believed, estimated or expected. Investors should not place undue reliance on these forward-looking statements, which speak only as of the date of this press release. The Company's actual results could differ materially from those anticipated in these forward-looking statements as a result of a variety of factors, including those discussed in the Company's periodic reports that are filed with the Securities and Exchange Commission and available on its website (www.sec.gov). All forward-looking statements attributable to the Company or to persons acting on its behalf are expressly qualified in their entirety by these factors other than as required under the securities laws. The Company does not assume a duty to update these forward-looking statements. SHANGHAI, May 11 ( http://www.investorideas.com/ renewable energy/green newswire )- JA Solar Holdings Co., Ltd., (Nasdaq:JASO ), a leading manufacturer of high-performance solar power products, today announced financial results for its first quarter 2010, ended March 31, 2010. "We are pleased with our strong first quarter results, which saw the highest shipments in our company's history and exceeded our previous guidance in shipment and gross margin," said Dr. Peng Fang, CEO of JA Solar. "We saw extremely strong customer orders during the first quarter of 2010, with robust demand from all major solar markets, as well as growth from the emerging markets. We are seeing even stronger demand in the second quarter, reflecting JA's strong market position, technology, quality, and value proposition. We are taking this opportunity to develop stronger relationships with our existing customers, and cultivate partnerships with new strategic customers. Based on current customer orders, we expect the strong market environment to continue through the end of 2010," he said. "During the quarter, we continued to win new customers and capture market share, with several new international customers that started delivery in the first quarter. We also made substantial progress in our R&D efforts, achieving 19.1 percent conversion efficiency for our new selective emitter architecture solar cell. We are seeing strong interest from our customers for this new technology, and expect volume shipment in second half of this year. In response to strong market demand and customer requests, we are increasing our manufacturing capacity to support our customers' growth," continued Dr. Fang. Total shipments in the first quarter of 2010 were a record 272MW, compared with fourth quarter 2009 shipments of 231MW, representing sequential growth of 17.7 percent. Tolling business was 26 percent of total shipments. Shipments to international customers expanded substantially during the quarter, representing 36 percent of total shipments and increased 700bps from the previous quarter. Revenue in the first quarter of 2010 was RMB 1.9 billion ($279.2 million), an increase of 17.1 percent from RMB 1.6 billion ($238.4 million) reported in the fourth quarter of 2009. Gross margin was 22.9 percent in the first quarter of 2010, compared with 20.5 percent in the fourth quarter of 2009, reflecting a high utilization rate and continuous manufacturing process improvement and cost control efforts. Operating income in the first quarter of 2010 was RMB 352.9 million ($51.7 million), compared with RMB 245.5 million ($36.0 million) in the fourth quarter of 2009. Operating margin was 18.5 percent in the first quarter of 2010, compared with 15.1 percent in the fourth quarter. Our GAAP earnings per diluted ADS in the first quarter were RMB 1.61 ($0.24), compared with RMB 0.84 ($0.12) in the fourth quarter of 2009. These non-cash items totaled RMB 96.2 million ($14.0 million) and had RMB 0.59 ($0.09) impact to diluted earnings per share. During the first quarter of 2010, JA Solar adopted new accounting rule, ASU 2009-15, Accounting for Own-Share Lending Arrangements in Contemplation of Convertible Debt Issuance or Other Financing. The impact of adopting ASU 2009-15 is shown in the table below. In the first quarter of 2010, the company generated an operating cash flow of RMB 426.4 million ($62.5 million) and incurred capital expenditures of RMB 332.3 million ($48.7 million). The company continues to maintain a strong balance sheet with cash and cash equivalents of RMB 1.9 billion ($281.6 million), and total working capital of RMB 3.2 billion ($464.7 million) at March 31, 2010. Average receivable turns were 19 days and the average inventory turn was 33 days. The company has no short term loans and total long term bank borrowings were RMB 680 million ($99.6 million). The face value of the convertible bonds, due 2013, outstanding was RMB 1.6 billion ($228.2 million) at March 31, 2010. Based on robust customer demand for JA Solar's products, the company is raising its outlook for the full year of 2010. The company currently expects shipments to exceed 1GW for 2010, compared with prior guidance of 900MW. Shipments in the second quarter of 2010 are expected to be approximately 275MW. To meet customer order requirements, the company expects to achieve actual solar cell production capacity, which is higher than the nameplate capacity previously reported, of 1.5GW by end of 2010. Module capacity is expected to reach 500MW, and wafer capacity is expected to reach 300MW by the end of year 2010. The revised capital expenditure for the full year is expected to be in the range of $220 million to $250 million, compared with prior guidance of $130 million. JA Solar expects to fund the capacity expansion through its existing cash balance, operating cash flow, as well as credit facilities provided by banks in China. A conference call has been scheduled for today, Tuesday, May 11, 2010 at 8:00 am Eastern time. The call may be accessed by dialing 1.866.543.6407 (U.S.) or 1.617.213.8898 (international). The passcode is JA Solar. A live webcast of the conference call will be available on the company's website at http://www.jasolar.com/. A replay of the call will be available beginning two hours after the live call and will be accessible by dialing 1.888-286-8010 (U.S.) or 1. 617-801-6888 (international). The passcode for the replay is 83621898. The conversion of Renminbi into U.S. dollars in this release, made solely for the convenience of the reader, is based on the noon buying rate in the city of New York for cable transfers of Renminbi as certified for customs purposes by the Federal Reserve Bank of New York as of March 31, 2010, which was RMB 6.8258 to $1.00. No representation is intended to imply that the Renminbi amounts could have been, or could be, converted, realized or settled into U.S. dollars at that rate on March 31, 2010, or at any other date. The percentages stated in this press release are calculated based on Renminbi. JA Solar Holdings Co., Ltd. is a leading manufacturer of high-performance solar power products. The company sells its products to solar manufacturers worldwide, who assemble and integrate solar cells into modules and systems that convert sunlight into electricity for residential, commercial, and utility-scale power generation. For more information, please visit http://www.jasolar.com. FREMONT, Calif.---Purfresh, a leading provider of clean technologies that purify, protect, and preserve the world’s food and water, today announced important results from recent third-party research which demonstrates ozone’s applicability and effectiveness as a tool to improve the safety of fresh food shipped globally. The results, from research commissioned by Purfresh and conducted by The National Food Lab, demonstrated that controlled supplementation of ozone, an active form of oxygen, into transportation container conditions was able to kill and control the spread of important foodborne pathogens such as Salmonella, by more than 99.997%, Listeria monocytogenes, by more than 99.999%, and E. coli O157:H7, by as much as 99.9%. These results were on both actual fruit and container surface coupons and poignantly represent the efficacy of using ozone during transport—which is often the longest segment of the food supply chain—to actively reduce food safety risks. .“Countless studies have proven ozone controls bacteria, molds, yeast, viruses, and ethylene. I believe this study was unique because it showed that ozone is also highly effective at killing harmful bacteria in conditions similar to those found in refrigerated shipping containers,” said Dee M. Graham, Ph.D., president of R and D Enterprises. An estimated 70 million tons of perishables were transported in refrigerated containers last year. During transport, with transit times ranging from 7 to 50 days, harmful microorganisms can multiply rapidly putting the food at great risk for contamination and spoilage. Purfresh uniquely addresses these risks with their ozone-based Purfresh® Transport solution, an active cargo protection system that has been scientifically engineered to use ozone—a natural, residue-free form of oxygen—to control ripening, reduce decay, and enhance the safety of fresh produce during transport, leading to safer, fresher food. Available for use on new and existing refrigerated shipping containers, the patent-pending Purfresh Transport system simply “snaps” into a fan port to integrate with the container’s refrigeration system. Leveraging the existing air flow system, the Purfresh Transport technology delivers precise, low-dose levels of ozone throughout the container—treating the air and surfaces to reduce harmful microorganisms that may lead to both disease and decay. The system actively monitors and adjusts the required ozone levels throughout the voyage based on changes in the condition of the cargo or the atmosphere. Purfresh Transport is available through most major ocean carriers and is offered on as a per-trip service. Committed to promoting food safety throughout the food supply chain, Purfresh also offers two additional ozone-based solutions—Purfresh Cold Storage for preserving the freshness and safety of produce during storage for warehouses and distribution centers, and Purfresh Wash, a produce disinfection wash system that helps packers and processors meet HACCP requirements while reducing chemical use. Purfresh solutions are sold throughout the world by Purfresh and its network of certified resellers. Purfresh offers a range of clean technology solutions that purify, protect, and preserve our food and water. Purfresh’s innovative crop applications, food wash systems, and cold chain technologies effectively safeguard fresh produce before and after harvest. Our water technologies purify and disinfect bottled, pharmaceutical, and consumer products. Serving customers in more than 40 countries, Purfresh and its global partners help companies, such as Auvil Fruit Company, Coca-Cola, Fruit Patch, Procter & Gamble, and Safeway, boost yields, control costs, and improve the safety and quality of their products. For more information, visit www.purfresh.com. May 10, 2010 ( Investorideas.com renewable energy/green newswire ) New York – Citi today announced that it had signed on to the United Nations Global Compact, the world's largest corporate citizenship initiative. Citi is the first major U.S.-based bank to sign onto the Global Compact. Implementation of the UN Global Compact relies on public accountability and disclosure of its participants through an annual “Communication on Progress.” This aligns strongly with Citi’s commitment to transparency, as evidenced by the company’s annual Global Citizenship Report (found at citizenship.citigroup.com). - Since its founding in 2000, Citi has been a member of the Wolfsberg Group and has strongly supported the Group's 2007 Statement against Corruption and other international efforts to combat the use of financial systems for bribery and corrupt activity. Citi, the leading global financial services company, has approximately 200 million customer accounts and does business in more than 140 countries. Through Citicorp and Citi Holdings, Citi provides consumers, corporations, governments and institutions with a broad range of financial products and services, including consumer banking and credit, corporate and investment banking, securities brokerage, transaction services, and wealth management. Additional information may be found at www.Citigroup.com or www.Citi.com. Point Roberts WA/ Los Angeles CA- May 10, 2010 - www.InvestorIdeas.com reports on publicly traded electric Vehicle ( EV) and natural gas companies that are participating in the greening of the Port of Los Angeles. Players including BYD Auto (BYD Company: HKG: 1211), Balqon Corporation (OTCBB: BLQN), Westport Innovations Inc. (TSX:WPT; NASDAQ:WPRT) and Vision Industries Corp. (OTCBB: VIIC) all have a stake in the future of the Port, but for the companies involved, it represents just a fraction of their vision for a global green automotive market. On May 4th the Port of Los Angeles announced plans to become the world’s first port to offer a reduced tariff for zero-emission vehicles imported into the United States through the Port. The reduced-fee incentive proposal was announced Friday, April 30, as Chinese manufacturer BYD Auto Company Limited (BYD) said it will locate its North American headquarters in Los Angeles and use the Port of Los Angeles to import its vehicles. BYD Auto is a Chinese automobile manufacturer based in Shenzhen, Guangdong Province, China, established in 2003 and is a wholly owned subsidiary of BYD Company, listed on the Hong Kong Exchange (BYD Company: HKG:1211). Another publicly traded EV company at the Port is Balqon Corporation (OTCBB: BLQN), a company that produces heavy duty electric trucks, tractors and electric drive systems. As of November, Balqon Corporation (OTCBB: BLQN) had delivered 12 Nautilus E20s to the City of Los Angeles and one Nautilus E20 to the AQMD. All of the Nautilus E20s were delivered during the third quarter of 2009 were equipped with lithium-ion battery packs. The company anticipates that future sales of the heavy-duty electric vehicles will be made directly to end users, such as large terminal operators, shipping companies and OEMs, rather than directly to governmental agencies such as the AQMD and the City of Los Angeles. According to the Port of Los Angeles, since its commencement on October 1, 2008, the Clean Truck Program (CTP) has delivered an estimated more than 70-percent reduction in the rate of truck emissions compared to 2007 average air emissions data. On April 5th the Port of Los Angeles announced it awarded Vision Industries Corp. (OTCBB: VIIC), producers of the zero emission electric/hydrogen hybrid Tyrano™ truck, a purchase order for a zero emission Class 8 hybrid electric truck. The cost to purchase the zero emission truck will not exceed $280,000 including sales tax. Electric vehicle companies and green auto companies that can demonstrate successful deployment are fighting for global market share. Investors are encouraged to perform due diligence in researching and investing in the sector. Balqon Corporation is a leading developer of heavy duty electric trucks, tractors and electric drive systems. The Company uses its proprietary flux vector motor technology to design propulsion systems for 10 to 50 ton capacity vehicles and material handling equipment. Balqon Corporation’s current product line of tow tractors are designed to transport containers at ports, marine terminals, rail yards, warehouses, intermodal facilities, military bases and mail facilities. The Port of Los Angeles and Balqon Corp were showing off their first production XE20 electric, zero-emission yard tractors on Wednesday at an all-day Ride and Drive event at Berth 87. Balqon is getting ready to deliver 20 of the new heavy-duty trucks to a container terminal for a real-world debut. The port ordered the lithium-ion battery-powered vehicles to be built almost a year ago, along with five XE30 trucks designed for short-haul, on-road drayage. The XE30s will be used to shuttle containers from the port to a near-dock rail yard about five miles north of the harbor. "Antonio Villaraigosa, Mayor of Los Angeles, tests drives the Balqon Nautilus E30." The Port of Los Angeles is America’s premier port and has a strong commitment to developing innovative strategic and sustainable operations that benefit the economy as well as the quality of life for the region and the nation it serves. As the leading seaport in North America in terms of shipping container volume and cargo value, the Port generates 919,000 regional jobs and $39.1 billion in annual wages and tax revenues. A proprietary department of the City of Los Angeles, the Port is self-supporting and does not receive taxpayer dollars. The Port of Los Angeles – A cleaner port. A brighter future. For more information, please visit www.portoflosangeles.org. Investor Ideas is a global investor research portal specialized in sector investing. Investor Ideas was one of the first online investing and business resources providing in-depth research, news, investor tools and stock directories for renewable energy, homeland security and water. www.FuelCellCarNews.com, www.EnvironmentStocks.com, www.Water-Stocks.com and www.GreentechInvestor.com all within the Investorideas.com hub. Disclosure: Investorideas.com president, D Van Zant is long Westport Innovations . POINT ROBERTS, WA, Delta BC – May 6, 2010 - www.RenewableEnergyStocks.com, a leading investor news and research portal for the renewable energy sector within www.Investorideas.com, reports on the April 28th IPO filing and May 4th amendment for China based Nobao Renewable Energy Holdings Limited . The company’s primary business is energy management solutions for buildings. Underwriters include Morgan Stanley, UBS Investment Bank and Citi for the $300 Million IPO. The company has applied for trading on the NYSE with trading symbol “NRE”. We are a leading provider of fully-integrated clean energy management solutions in China utilizing ground source heat pump, or GSHP, technologies. We offer integrated energy management solutions for buildings primarily through energy management contracts, or EMCs, by designing, manufacturing and installing GSHP heating, ventilation, air conditioning and hot water supply systems, or GSHP systems, as well as providing post-installation maintenance services typically over 10 to 20 years. We believe our fully-integrated solutions typically can save 50% to 70% of energy consumption compared to conventional fuel- and electricity-based heating, ventilation, air conditioning and hot water systems, based on data from three EMC projects installed by us and which have been in operation for over a year. Our GSHP solutions utilize renewable energy stored beneath the earth’s surface, thereby significantly reducing energy consumption and greenhouse gas emissions as compared to conventional fuel- and electricity-based heating, ventilation and air conditioning systems, or HVAC systems. Our systems are based on our proprietary control software and system architecture which we believe differentiate our solutions from those offered by our competitors. As a result, we are able to replace the conventional HVAC systems in a wide variety of existing buildings without causing business interruptions, allowing us to become an early mover to address China’s substantial building retrofit market, which we believe many of our competitors are unable to address. Under the EMC model, we provide upfront design, procurement, manufacturing and installation of the GSHP systems and long-term maintenance services to our customers. Our customers pay for our solutions in the form of fixed or variable monthly fees, or the energy management fees, over the period of the contract, which is typically lower than their actual or projected energy costs for operating conventional HVAC systems. We are responsible for all costs incurred in connection with the design, procurement, manufacturing and installation of the GSHP systems. We are also typically responsible for all or substantially all of the electricity costs for operating the GSHP systems as well as maintenance costs over the contract period after the completion of installation. We believe our EMC model is highly appealing to our customers as it allows customers to pay for the GSHP systems over the contract term and eliminates the initial procurement cost for the GSHP systems. In addition, the EMC model provides us with long-term recurring cash flows over the contract period. We also derive revenues from the design, sales and installation of GSHP systems without post-installation maintenance services, which we refer to as the engineering, procurement and construction model, or the EPC model. We commenced operations in June 2007, initially using GSHP modules sourced from a European manufacturer. In the fourth quarter of 2009, we began manufacturing our own modules in our facilities located in Gongqing City, Jiangxi Province, or the Jiangxi facility. We design our modules to address the specific needs of the Chinese market. We believe we are well positioned to offer our customers greater functionality in a cost-effective manner using our own modules. As of March 31, 2010, we had entered into 16 EMCs, covering gross floor areas, or GFAs, of 964,501 square meters. Our cumulative installed GFAs as of March 31, 2010, representing the GFAs of buildings where we had completed installation work and prorated GFAs of partially installed buildings, were 410,278 square meters. To learn about becoming a featured renewable energy or green showcase stock, contact us below. http://www.renewableenergystocks.com/ is one of several green investor portals within Investorideas.com, creating a meeting place for investors, public companies and industry leaders following developments in renewable and green energy. The site provides investors with stock news, exclusive articles and financial columnists, audio interviews, investor conferences, Blogs, research and a comprehensive global directory of stocks within the renewable energy sector. Investors can follow solar stocks commentary on our site with solar expert, J. Peter Lynch. Visit the Investorideas.com Green Investor Portals: www.RenewableEnergyStocks.com ®, www.FuelCellCarNews.com ®, www.EnvironmentStocks.com, www.Water-Stocks.com all within the Investorideas.com hub. Green Energy investors can research stocks with the Renewable Energy Stocks Directory, one of the most comprehensive directories online. The directory has and estimated 1000 stocks and new stocks are added each month for investors following the sector. The renewable energy stocks directory features stocks listed on the TSX, OTC, NASDAQ, NYSE, AMEX, ASX, AIM markets and other leading exchanges. The directory includes info and links on Alternative Energy Funds, Biogas and Ethanol Stocks, Energy Efficiency Stocks, Flywheel Stocks, Fuel Cell Stocks, Geothermal Stocks, Hydrogen Production, Micro Turbine Stocks, Solar Stocks, Smart Grid, Green Transportation, Wind Power and Wind Energy Stocks and Green Infrastructure Stocks. About InvestorIdeas.com: InvestorIdeas.com is a leading global investor and industry research resource portal specialized in sector investing covering multiple industry sectors including water, mining, renewable energy, energy, biotech, defense and global markets including China, India, Middle East and Australia. The website covers several sectors but has a focus on environment and water. Investorideas.com meets the needs of retail investors, public companies and entrepreneurs with unique tools and services ranging from stock directories, newsfeeds, funding directories and more. 5.04.2010 - Google- (NasdaqGS: GOOG)) ( Investorideas.com renewable energy/green newswire ) Emission reduction, green spaces, and renewable energy are some of the most talked about topics of the 21st century. With the recent passing of Earth Day, and the undying rally for improved green efforts worldwide, some industry giants are making a large footprint. Oddly enough, it isn't the work of highly regarded green organizations (i.e. – Greenpeace and Global Green USA) that's capturing everybody's attention, but surprisingly enough extremely large technology companies, like Google for instance. Recently, Google stated that it had invested $38.8 million in two North Dakota wind farms . – "On Friday we made our first direct investment in a utility-scale renewable energy project — two wind farms that generate 169.5 megawatts of power, enough to power more than 55,000 homes." Rick Needeham, (Google's Green Business Operations Manager), wrote within that Google is greatly interested in discovering new opportunities to invest in renewable energy projects that really ”push the envelope." It wasn't enough for Google to be the world's biggest search and advertising company; it's evident that they truly do want to power the globe. Although, this isn't the first time that Google has made a large investment in green energy. Back in 2007, Google dove into clean-tech fray, clearly stating that it would spend "hundreds of millions of dollars" to create alternative energy sources that are cheaper than coal, which as we know it is the world's dominant fuel source and pollutant. They included that their effort RECTC (Renewable Energy Cheaper Than Coal), would consist of wind power technologies, solar power, and more. It's sometimes tough to make the connection between search and alternative energy, but with Google at the forefront of campaigns like this, it certainly makes me feel a bit more comfortable. With enough energy to power nearly 55,000 homes, Google is making a tremendous impact on sustainability for our planet. Non-profits and other similar collaborative units have been doing their part in supporting green initiatives since the beginning of the movement. For instance, Niranjan Shah and Globetrotters Engineering Corporation work closely with the USGBC (US Green Building Council) to improve building standards and provide LEED based architecture. Although, it's the unpredictable, long tail efforts of cash cows like Google that are helping substantially. Much like the individual, businesses must play their roles in promoting sustainability. Google entered into green technology development in startup companies and its own consumer energy tracking tools, although, they hadn't quite moved into actual working energy fabrication. This could infer future investments by Google, perhaps leading to the acquisition of their own wind powered turbine that would facilitate their own business needs. SAN DIEGO (May 3, 2010) – ( Investorideas.com renewable energy/green newswire ) Envision Solar International, Inc., (www.envisionsolar.com) (OTCBB:EVSI), a leading solar planner, architect and inventor designing and deploying clean energy systems globally, joins the Over the Counter (OTC) Bulletin Board, effective today. The company’s stock will be traded under the symbol EVSI. Envision Solar works with such notable companies as Chevron Energy, Sun Edison, Dell, Centocor, University of California and others, and is the first company to invent and build structures for solar that address the unused millions of acres of parking spaces. The company has designed and/or installed more than nine megawatts of solar arrays for commercial, residential, and public entities worldwide. For more information on Envision Solar, visit www.envisionsolar.com or call 1-866-746-0514. For investor inquiries, contact investor@envisionsolar.com or call 1-866-635-0011. Envision Solar, www.envisionsolar.com, is a leading solar planner, architect and inventor designing and deploying clean energy systems globally. The solar master planning firm provides strategic long-term solutions conducting comprehensive sustainability planning and optimizing locations for solar array structures. It is the first to invent and build structures for solar that address the unused millions of acres of parking spaces. Its innovative systems include commercial, residential, and public entities with products such as the Solar Tree®, Solar Row™, LifePort™, LifePod™, LifeVillage™ and others. Envision Solar is listed on the OTC Bulletin Board under the symbol [OTCBB:EVSI]. For more information on the company, contact 1-866-746-0514. This news release contains forward-looking statements that involve risks and uncertainties. Actual results and outcomes may differ materially from those discussed or anticipated. For a more detailed discussion of these and associated risks, see the company's most recent document filed with the Securities and Exchange Commission. Point Roberts WA, DELTA, BC May 3, 2010 www.Water-Stocks.com, an investor and industry portal for the water sector within http://www.investorideas.com/, reports water stock Nalco (NYSE: NLC) is trading up on significant volume on news reported from CBBC that BP (NYSE: BP) announced it has tested a chemical from Nalco that can attach itself to the oil . The stock has had a day trading range of $25.26- $29.25, as of this report. About Water-stocks.com Investorideas.com and www.Water-Stocks.com are positioning to be a leading destination for cleantech investors researching the water space. www.Water-Stocks.com, a portal within the InvestorIdeas.com content umbrella, offers investors research tools, news, Blogs, online conferences, Podcasts, interviews and a directory of public companies within the water sector. Investors following the water sector can subscribe to the news feed at http://www.investorideas.com/RSS/feeds/Water-Stocks.xml. Water-Stocks.com features water columns for investors following the sector; ‘Hydrocommerce Corner - Where Water & Money Meet’ with Bill Brennan and ‘BlueTech Tracker’ with Paul O'Callaghan. Investors following publicly traded water companies can research water stocks at the water stocks directory. The directory features publicly traded water stocks listed on the TSX, TSX Venture, OTC, NASDAQ, AMEX, NYSE, ASX, AIM, Hong Kong, China and other leading global Stock Exchanges . The stock directory features water stocks including desalination companies , bottled water stocks, infrastructure, water treatment and technology as well as other sub sectors. HOUSTON--(http://www.investorideas.com/ clean energy blog )--Acro Energy Technologies Corp. (TSX Venture: ART), a leading US solar integrator, announces the filing of its audited financial statements, management’s discussion and analysis (MD&A), and annual information form (AIF) for the year ended December 31, 2009. .Electronic copies of these documents are available on Acro Energy’s profile at SEDAR, www.sedar.com. The Company previously announced the change of financial year end from November 30 to December 31 commencing December 31, 2009 which will be a 13 month year end. The Company also announces that it has changed the reporting currency of its financial information from Canadian dollars to US dollars. The change is effective for the year ended December 31, 2009. “All of our operations are conducted in the United States, so we feel this change in reporting currency will better reflect our business activities and improve financial statement users’ ability to compare our financial results,” said Marty Spake, chief financial officer of Acro Energy. Acro Energy Technologies Corp. is focused on the consolidation and growth of renewable energy companies, primarily in the United States residential solar energy installation market. Acro Energy provides practical solutions to individuals, businesses, non-profit organizations, and governmental entities that can benefit from the value of solar power. As a high end system integrator, Acro Energy offers quality products from leading solar module manufacturers including SunPower, Suntech, and Sharp and residential solar financing plans from SunRun, the nation’s leading provider of home solar financing. Acro Energy continues to evaluate acquisition candidates across North America. For more information, please visit www.acroenergy.com or email info@acroenergy.com. This news release may contain “forward-looking statements” within the meaning of applicable securities laws. Forward-looking statements address future events and conditions and therefore, involve inherent risks and uncertainties. Actual results may differ materially from those currently anticipated in such statements. The Company assumes no obligation for the accuracy or completeness of those forward looking statements and undertakes no obligation to revise these forward looking statements to reflect subsequent events or circumstances. Readers are cautioned not to place undue reliance on the forward-looking statements made in this Press Release. NAPERVILLE, Ill.--(www.Investorideas.com energy newswire )--Starting today, May 1st, Nicor Gas (Owned by Nicor Inc. :NYSE: GAS) customers will have the opportunity to save energy and money through the new Nicor Gas Energy Efficiency Program (EEP). The program offers rebates, ideas, and tools to help Nicor Gas residential and business customers use energy wisely. The Nicor Gas EEP has three main categories: the Residential Program, the Business Program, and the Custom Business Program. The Residential Program helps homeowners achieve long-term natural gas savings through education and financial rebates that reduce the costs of purchasing and installing high-efficiency gas space and water heating equipment. The Business Program helps commercial businesses learn how to save energy and reduce operating costs through education and financial rebates that make energy-saving solutions more affordable. The Custom Business Program offers financial rebates to business customers that install qualifying high-efficiency measures not addressed through the Business Program. In addition, the Nicor Gas EEP has four targeted programs; Low- to Moderate-Income Program, Existing Home Retrofit Program, Elementary Energy Education, and Residential Multi-Family Direct Install Program. These programs offer various additional benefits such as assistance to low/moderate income households, energy analysis, energy efficiency education, and no cost assistance to multi-family dwellings. Nicor Gas encourages customers to inquire and see what they may qualify for under the new program. For additional information about the Energy Efficiency Program, please call the Nicor Gas Energy Efficiency Call Center at 1-877-886-4239 or visit www.nicorgasrebates.com. Nicor Gas is one of the nation's largest gas distribution companies. Owned by Nicor Inc. (NYSE: GAS) a holding company, Nicor Gas has provided safe and reliable natural gas services for over 50 years. The Company serves more than two million customers in a service territory that encompasses most of the northern third of Illinois, excluding the city of Chicago. For more information on Nicor Gas, visit http://www.nicorgas.com/.